Today, indie developer Behold Studios announces the release of the free “Director’s Cut” update for Chroma Squad on PC, Mac and Linux. The “Director’s Cut” free update to Chroma Squad brings long-awaited new features and improvements to the game, which were previously available only on the PlayStation 4 and Xbox One versions. 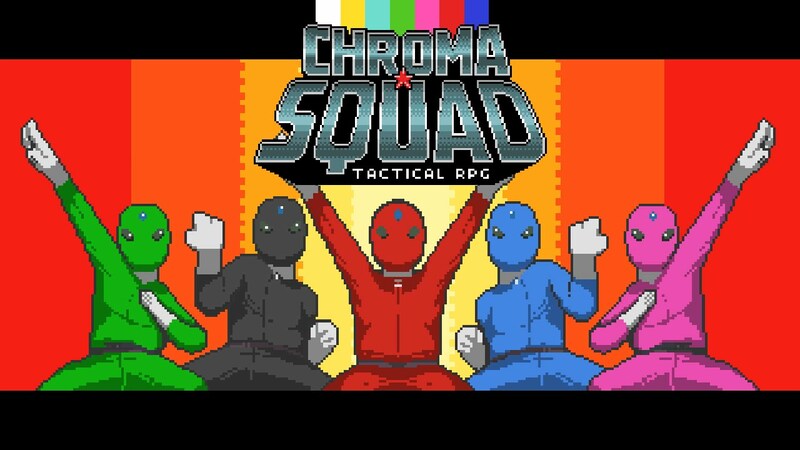 Chroma Squad is currently available on PC, Mac, Linux, PlayStation 4, Xbox One, Android, and iOS. Behold Studios is also releasing its new game “Galaxy of Pen and Paper” this month, July 27th, for PC/Mac/Linux/iOS/Android. New Game+- The adventure no longer ends after the credits roll – with the “New Game+” and “New Game++” features you can keep playing with your current party, facing procedurally generated enemies and goals on the episodes, crafting new items, and perhaps making different story choices that could lead you to unexplored paths! Revamped Mecha Fights – The Mecha Fights have been completely revamped to be faster and more fun, and the random chances were replaced by new reflex mini-games! New “Heroic” Difficulty – Difficulty levels have been completely rebalanced to offer a more customizable experience, including a new super-hard mode called “Heroic Difficulty”! Revamped Encounter Balancing – We have also tweaked a few encounters in the game that were famously unfair or long (*cough cough* Mini-Kaiju Squad *cough cough*)! Bug fixes and performance improvements – we also fixed some bugs and the game should be running smoother and faster overall! For more information, visit www.chromasquad.com. Spinch explodes with color! Check out the first trailer!